This is the company blog for megaventory, an online software that helps small businesses that buy, sell and manufacture physical products to manage sales, purchasing, manufacturing and inventory. We blog about new features and updates but also about enterprise software, small businesses, cloud computing and the industry in general. Through the years what we've learned is that offering a good product is not enough if you don't accompany it with high-quality customer support. Being there when your customers need you and showing them that their concerns are valid is crucial and will drive customers to keep doing business with you again. So how do we make this happen? All our new users are welcome to set up a free, one-on-one appointment with us at a time of their choice (we've been using online meeting software meetme.so and calendly.com). We offer these demos in order to make sure that their introduction to Megaventory goes as smoothly as possible and that all their questions and concerns are addressed. Not all customers need such demos and not all ask for one - but the option is there for anyone interested. A hidden advantage of these sessions is that we manage to keep close to the customer and understand their needs form a personal perspective - which is of very valuable for an online business. Not everyone has the time or the comfort for one-to-one communication and some prefer to search for information on their own. We believe that the best support is for your customers not to need to communicate with you. And how we do that? 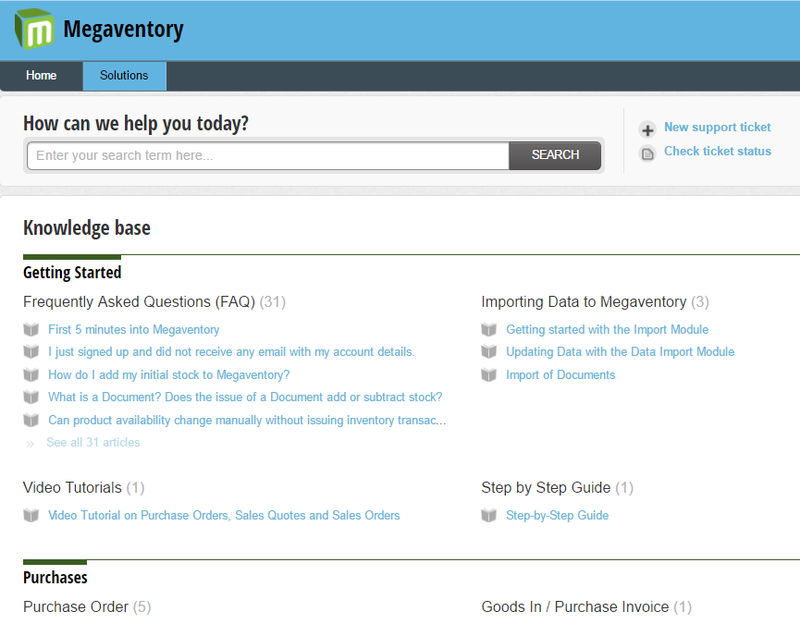 We offer comprehensive documentation for Megaventory to keep our customers informed - we use a Knowledge Base for that built using freshdesk.com. That includes both text and video walkthroughs of tasks. Video helps some people more than others - so we give them the option to learn what our service is about in that medium too. Some users are more visual than others, others prefer to learn on their downtime (eg in their lunch break) just by viewing a video and still others like to see (and share) clips they can fast forward through to the helpful part. In today's busy world, few have the time to hop from one website to the other to solve their problem – so we have a solution for them too. Firstly, we offer ‘guides’ (multiple choice, step by step walkthroughs essentially) which show users along the most basic setups especially in their initial steps. This technique is very helpful with guiding users through your processes and limiting ways they can make mistakes. We’ve set it up using inlinemanual.com – an inexpensive and customizable service we’ve chosen specifically for that purpose. Secondly, online help tips appear while users work their way through our service. These are either short or lengthy and are very helpful in solving questions exactly the moment they arise. Thirdly, hover tips appear when entering data or completing fields. Any time there’s a form which needs filling there’s also an explanation or clarification which will appear on hover of the mouse on them in all but the most obvious fields (name, address etc). 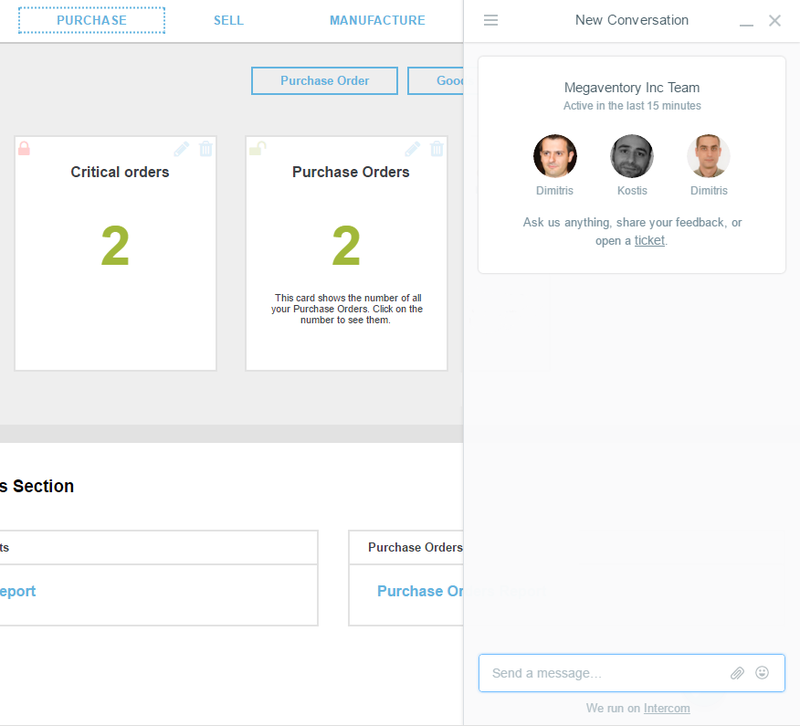 Users are able to interact with us through a live chat tool in the platform, powered by intercom.io, offering a friendly, informal, synchronous communication, integrated with the product and our website. As an added bonus, intercom provides considerable value in the form of customers analytics which we can further use to understand our users. People are on Facebook throughout the day—especially those that work with the internet, so it’s only natural they would much rather stay on the same website rather than switch or pick up the phone to call us. Therefore, we have an active Facebook Page, where everyone can message us with their query. Last but not least is the good ol' traditional support channel: e-mail. Customers are always to send us an e-mail with their query and we make sure to respond as soon as we can. Update: It is also important to mention that any support email opens a ticket in a dedicated ticketing system (we also use Freshdesk for that too) - this allows for proper tracking of any issue that arises. Such tickets can be opened either via a simple email, via a webpage contact form or from within a form in Fresdesk. There's an option for everyone! And here's something we don't do. When you have an international client base, phone support requires having people around the clock answering calls. The expense of this in comparison to what it offers is immense and we want to continue offering an inexpensive product for all small businesses. Also, it’s a challenge to provide that in their native language some customers may expect and it doesn’t leave a trail for future search or audit purposes. 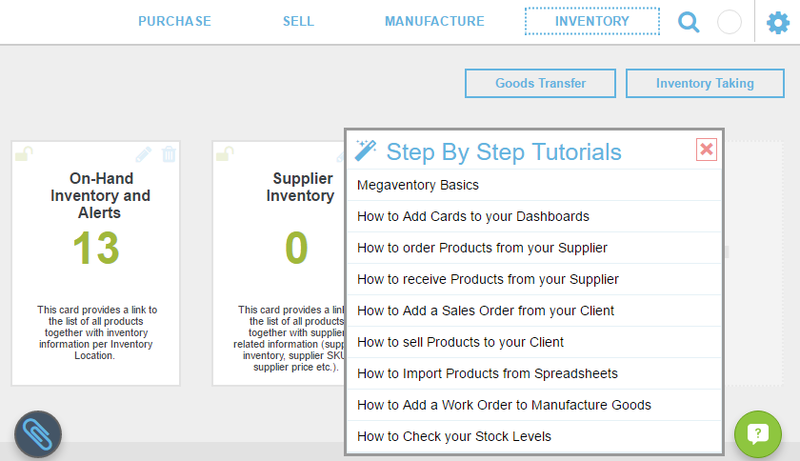 This is pretty much a complete list of the ways in which we offer support to Megaventory customers. Is there perhaps something we’re missing and could be added to the mix? And get a free session on how megaventory can help your business! 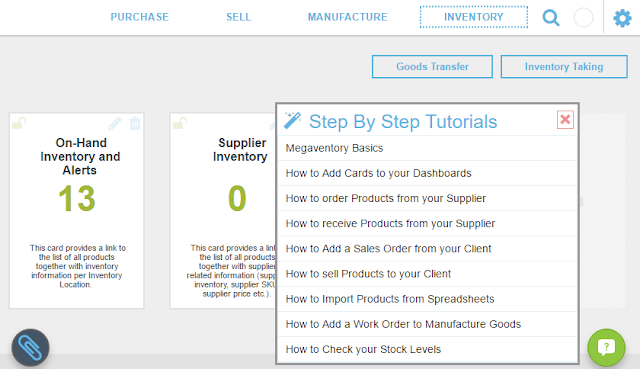 Megaventory integrates with 1,000 apps! Megaventory Inc. Powered by Blogger.